In my dream life I get to stay home and sew every day. I create lovely things and somehow in the process become famous enough never to have to work again. The details are sketchy -I'm not sure exactly what I'm famous for - but it has something to do with my boundless creativity and design skills. The reality is that I don't sew anywhere near as much as I would like, because when I get home from my day job every creative thought has been sucked out of my brain. From 9am - 5pm I have to remain logical and rational, and to make decisions based on evidence or fact. Creativity is usually reserved for weekends. But this week I was determined to sew something on a weeknight so I picked a project that didn't require much thinking on my part. My friend Nerida had a family heirloom quilt that required the binding replaced because it had been completely worn away by 16 years of constant love. I've been meaning to get to this for about three months - and finally found the motivation last week. It wasn't all beer and skittles - I had to wash all the swearing out of this before handing it back. This week I also went hard at finishing the applique for the remaining Orange Peels for the Seville Quilt. I got 20 finished and only have 9 left to do. That means I've done 135 of them...next step - sew all these bloody things together so they look like a quilt. By my calculations I have 20 days to finish the applique, sew them together , baste , quilt and bind this quilt - and you know what? I'm still labouring under the delusion that its possible. Who's with me? It was a long weekend here and with my parents impending move less than two weeks away, we headed up river to help them with a garage sale so they have less to pack and bring with them. And we brought back a load of stuff as well. I spent the weekend full of a nasty cold (which I'm pretty sure I caught from Little P when he came from his sleepover and he in turn told me he caught it from the girls at kindy because they kiss him all the time) I'm not sure how much help I was because I spent the weekend buried in a pile of tissues moaning about how awful I felt and barking like a dog. I think Mum and Dad are at the point where they just want it all over. Both my cold, and the move! Last picture of the old homestead . It was sad driving away for the last time. Other Nephew of Pyjamas and his other half graced us with their company for the weekend and G and I had the inspired idea to make Aussie S'mores. (no Graham Crackers here so we had to improvise) It was all going swimmingly....until we put the halves together. Obviously since we Aussies haven't been brought up on S'Mores, we went a bit overboard on the "more marshmallow can only be a good thing" principle and ended up with something that tasted great but had marshmallow guts leaking out all over the place. We already have plans to tone down the marshmallow on our next attempt. That's it from me. I'm off to stare at my shutters again. I'm hearing you about finding the energy to sew - sometimes all you want to do is fall asleep on the couch after a big day. Glad to hear to had a good long weekend, apart from the cold, and I can imagine how you felt driving away from your M&D's place for the last time. :( I bet they're starting to feel a bit anxious about it all too. Good luck with those petals - their shape reminds me of cathedral windows and I still break out in cold sweats when I think of them. Brrrrrrrrr. I manage to sew every day (or close to it) but I never sew in the evening unless I have a deadline. I love to sew early in the morning before work. This means I get up at a ridiculous hour but I don't mind going to bed early. 20 years ago I would have laughed and laughed had someone suggested I get out of bed and moving at 4am! The shutters are lovely. I would stare at them, too! Hope you are feeling better - just in time to go back to work after the long weekend! 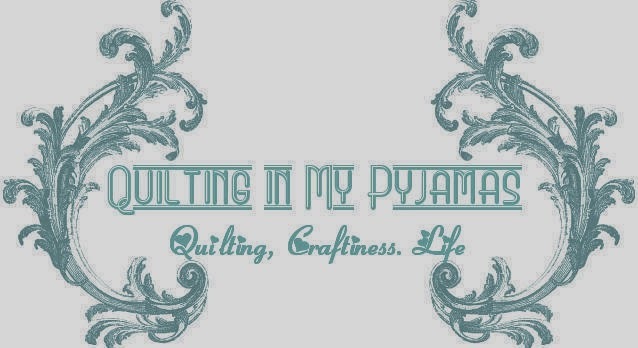 I try and prep hand stitching projects on the weekend for stitching in the evenings during the week, but most nights lately I have not been doing anything except sitting in the chair and yawning before giving up and going to bed at a ridiculously early hour! I don't like to sew in the mornings before work as I think if I started I wouldn't be able to stop and go to work! I also don't like going home from work for lunch....similar thing...I want to stay there once I am there! I am sure the quilt will be ready for show and tell at the next NTFW gathering.....won't it?! Sorry the cold is still making life miserable. 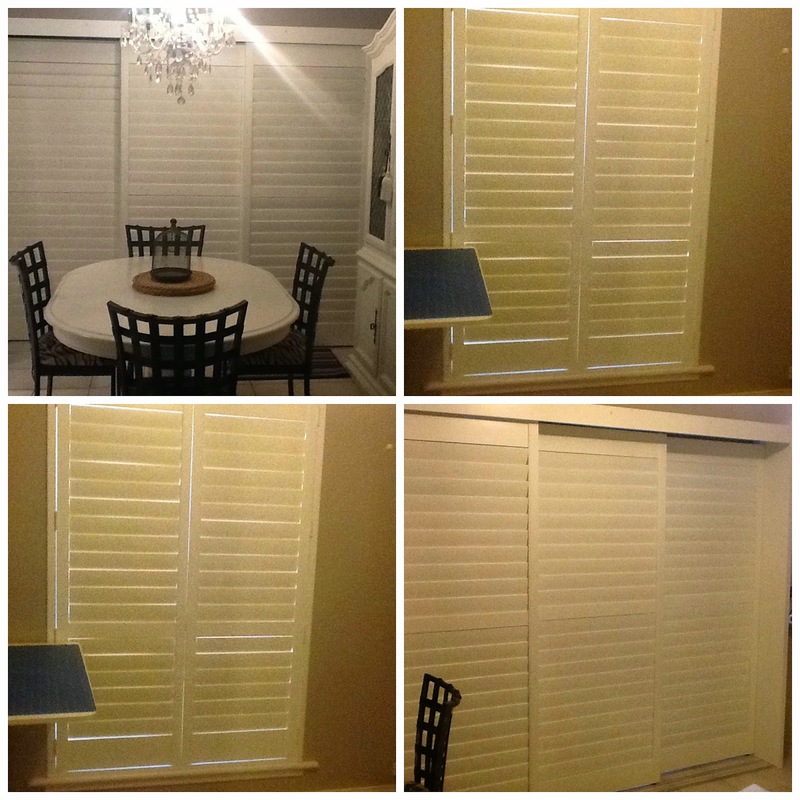 Your new shutters look lovely and so do the sliding doors. I still don't understand how it is that you don't have graham crackers. At any rate, your smores were just right, the marshmallows are supposed to leak all over the place and make a sticky mess. Just ask Drama Teen, who has been forced to make hers in the oven because the microwave died last week. Love the shutters......I would be staring at them too, if they were mine! The S'mores do look good even if they were a bit gooey, but you can never have too much goo, can you? Especially when it comes to chocolate and marshmallow. As for your Seville Orange Marmalade, you might just get it done - anything is possible - some things are highly improbable, but anything is possible. When I sew after a long day at work I usually end up unpicking what I've sewn. There's only so many good productive hours in a day. Yum, those Smores look awesome for their ooey gooey marshmallow yumminess. You can never have too many marshmallows. I hope your cold is better, I've got one now and feel pretty miserable. Only 9 melons go!! Far out, you're practically finished. Happy new shutters!! The orange peels look fab lined up there in their colourful glory, I am positive you can get this finished within the deadline...provided you give up house removals, home renovations and probably your social life! I hate you for those food photos, cos they look too tempting for words. I think the general purpose of marshmellow is to be a sticky mess that is fun to eat! What are you using for Grahams? They look delish. Love the red and green quilt... nice of you to repair it for a friend. You is good Peeps! Phew, I was fearing you'd vanished! Bloody kids and their germs - I don't have any, but their loving parents still share them at work with me. Bastards. Hope the move and associated crap is over soon! Hope you are feeling better! S'mores are supposed to be messy and marshmallowy so I think you did the right thing! It looks snug inside your new shutters. Those orange peels will be done, you've got the hard part sorted! Children do like to share! Hope you're feeling better now. That is a pretty quilt you repaired, lucky friend. Meh, graham crackers are highly overrated. Yours look much better. I'm so happy for your progress on the Seville quilt! I am pulling for your big finish. You can do the orange peel quilt in 20 days--I know you can! I'm so old I was around when Girl Scouts invented S'mores, and, yes, the marshmallow is supposed to ooze out the sides. Your Aussie S'mores look perfect. You can do it!!! I'm with you...giggle. I'm not sure of all of your talents, but one is twisting the words 'just right' to make me smile. I liked this post. The bit where you stay home and sew all day every day intrigues me. I don't have a job, and consequently don't go out to work (it's sort of a cause and effect type thing) I also am not looking for work. I should be, as you describe, sewing all day every day. I'm not. Someone always thinks of something else for me to do. I think you might find that people would similarly find things to fill up your days too once they realised that you "have nothing to do". In fact, you may be more productive as an overworked, creativity-sucked-out-of worker. Just looking on the bright side for you ;) Positivity is so important! I seriously love those shutters! Will it be labor intensive to clean them? Did Anyone Else Hear Trumpets Sound?